One of our favourite bands around at the moment is Suburban Mousewife, a group of five women who don't let being mothers stop them from playing their lo-fi garage punk (think Crass/The Slits). 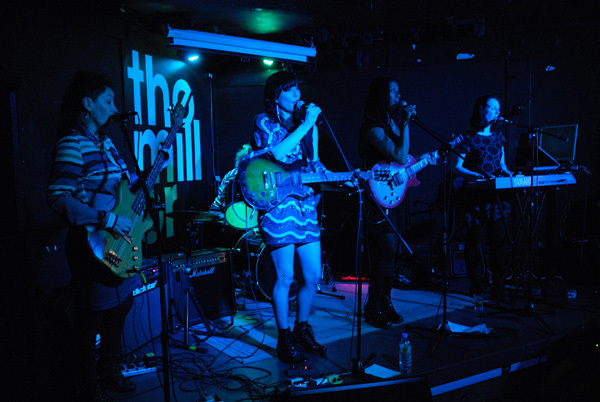 We wanted to introduce you to the band after they rocked our Christmas party last year, so they've given us three free tracks for you to download: Shopping, My Idol Is Me, and Gulags for Slags (great titles, girls!). We talked to the Mousewives and asked them about their bandname. "Suburban Mousewife has a double meaning," says singer Terry Tyldesley. "It can be a downtrodden homemaker or an internet addict who avoids the housework. For us, playing music wins over the washing up every time!" Poly Styrene of X-Ray Spex had just passed away when we were putting this blog together. She was a key influence on many of Tatty Devine's favourite bands, so we really wanted to talk to Suburban Mousewife about her. "Poly electrified us all!" says Terry. "We were so sad to hear of her death just as she had finished her new album." Melodie Holliday, singer and guitarist with the band, adds: "Poly Styrene meant a great deal to me as I was a black girl living in a small town who liked alternative music. She was an inspiration! Seeing Poly Styrene do her thing just made me more determined to do my thing." "Poly defied convention in her songs, attitude and style," says Terry. "Her ideas about consumerism and female stereotypes are still really relevant today and ones we explore in our music. We’re already defying stereotypes by starting this band after several of us have had kids – a time when lots of people stop making music." What other female musicians do you admire? "There's Siouxsie Sioux," says Terry. "We reference her in our song My Idol Is Me. 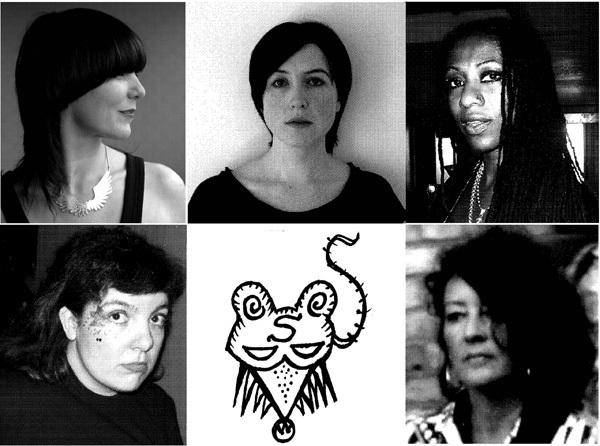 Then there's The Mo-dettes, The Slits, and Grace Jones who are all really important to us, and Florence and the Machine, PJ Harvey, Chrissie Hynde and Alison Goldfrapp. Patti Smith, Kim Deal, Kathleen Hanna, Kim Gordon, Janis Joplin... Women who write their own songs and do things on their own terms. Kate Nash is really impressive, combining her own musical career with trying to give other female artists, especially young ones, education and encouragement." The band are long-time Tatty Devine fans, too. 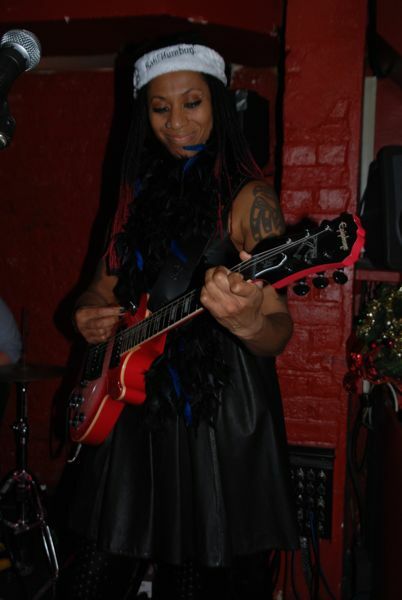 "We were thrilled when Rosie saw one of our gigs and asked us to play the Tatty Devine Christmas party," says Terry. She loves the Pegasus range and has a big necklace in gold and one in pewter. She wears them both on stage (but not at the same time!). "I wore the gold one as a good luck charm when we did the recordings," she says. Melodie says she took her whole family to our Brick Lane shop when we had Peaches there. "I ended up having a conversation with her about embracing your arm pit hair... more women should do it." Melodie has passed her love of Tatty Devine on to her daughters, who play in a band called Skinny Girl Diet (who, by the way, are awesome). 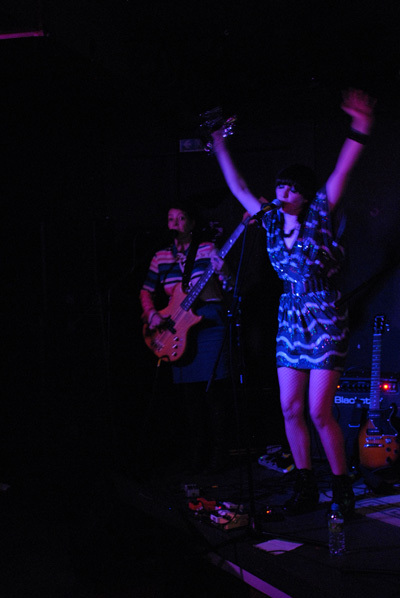 "They wear Tatty Devine necklaces when they are on stage," says Melodie. "Like the fishbone, piano, horse shoe and cowboy boots." Listen to the tracks below and download them for free at Soundcloud. My Idol Is Me by Suburban Mousewife "We’re celebrating grrrl power for grownups and taking a swipe at airhead culture." Shopping by Suburban Mousewife "A comment on the materialistic society we live in today." Gulags For Slags by Suburban Mousewife "A subversive take on the vitriol pumped out against single mothers and the knee-jerk policies designed to punish them."